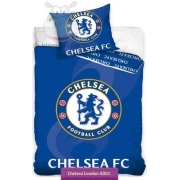 Chelsea – The Blues one of the most successful football clubs from London in the Premier League last years. 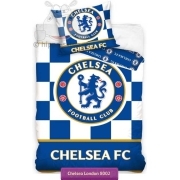 Young bedding set collection with Chelsea FC from Stanford Bridge led by the controversial coach Jose Mourinho, with famous football players Petr Cech, Frank Lampard, John Terry, Fernando Torres, Samuel Eto. 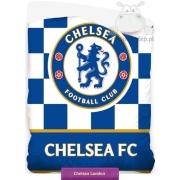 Kids Bedding with Chelsea in quilt / duvet cover sizes 160x200 and 140x200 cm, beach towels gadgets and accessories with Chelsea logo. 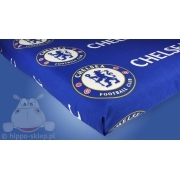 Original home textiles licensed and certified according to OEKO-TEX is a great gift idea for English football and Chelsea FC fans.